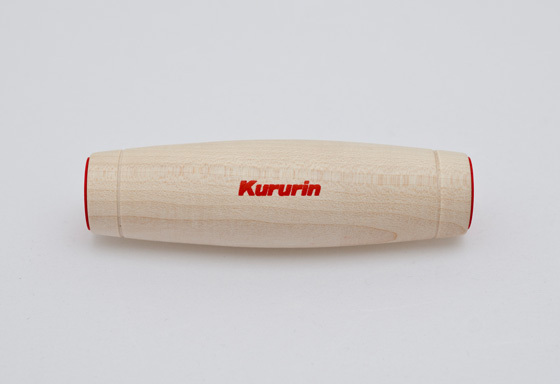 Kururin is new japanese toy made by Masakazu Node. Kururin flooded whole kendama scene. There wasn't a single day without Kururin inquiry. It took us almost two months to get Kururin to our store. We are glad that we have original one. This Kururin was made by Muku studio of maple wood in Japan. It's height is 9 cm. Check the video down bellow.